The next application period, for grants from the FY20 and FY21 Land Conservation Fund, will open in April 2019. The Legacy Land Conservation Commission held public meetings on December 10 and 11, 2018, at the University of Hawaii at Manoa, Center for Hawaiian Studies, to review and rank the applications received for the 2018-2019 grant cycle and to issue the Commission’s recommendation for grant funding. Public notice about the new schedule for future application cycles will be published in March 2019. Please visit the “How to Apply” page for future updates and details about the application process. 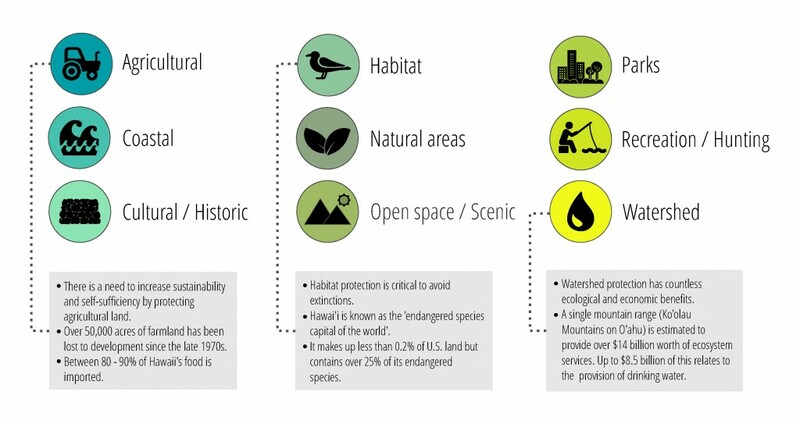 Despite the regulation of land use and development in Hawai‘i, lands that hold important resource values are often unprotected, inaccessible, and threatened with damage and destruction. 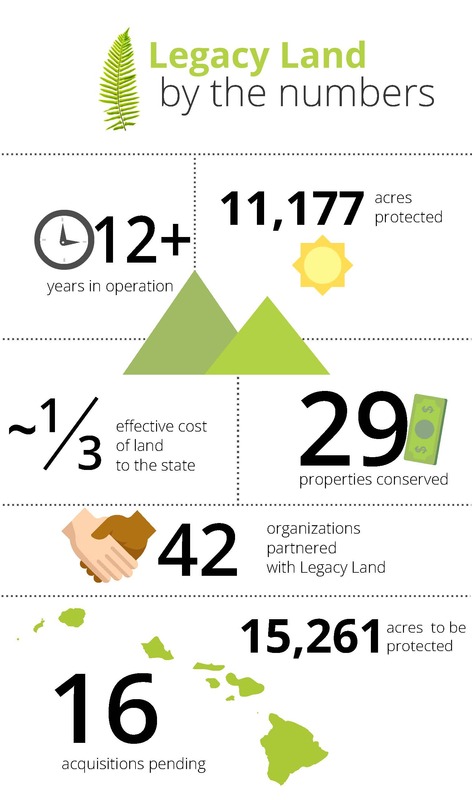 The Legacy Land Conservation Program provides grants to community organizations and government agencies that strive to purchase and protect land that shelters exceptional, unique, threatened, and endangered resources. State agencies, counties, and nonprofit land conservation organizations may apply for grants from the Land Conservation Fund. County and nonprofit awardees must provide matching funds that cover at least 25% of total transaction costs. A grant award from the Land Conservation Fund is subject to several levels of approval, the availability of funds, and budget restrictions and procedures implemented under the Governor’s Executive Biennium Budget Instructions.